Are you ready to start a career in the automotive industry? Here’s a career opportunity you don’t want to pass by. You get hands-on training, a supportive Management Team, and the top selling vehicle lineup; the potential for success is here. WE OFFER: *Competitive Income Opportunities with Bonuses based on Performance. *Paid Training *401K *Paid Vacation *Health, Dental & Vision Insurance *Life & Disability Insurance RESPONSIBILITIES: Welcoming our guests and helping them to select the Toyota Product of their choice through product demonstration and developing brand excitement. Listening to our customers and asking the right questions. Helping our customers review vehicles features, options, & packages with both written and online resources. Accompanying our guests on product demonstration drives. Explain and demonstrate key features and options, including the latest technology (Bluetooth, Navigation, Wireless Phone Charging, etc.). Perform a top-quality, professional & knowledgeable presentation/demonstration of our new/used vehicles. Work hand-in-hand with Sales Managers on value pricing of different models and their trim levels, including technology options. Gathering of customer information for follow-up purposes. Setting appointments for customer vehicle demonstrations via phone and email. 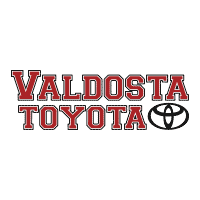 Be able to represent Valdosta Toyota professionally in all communications with our customers. YOU BRING: A high level of enthusiasm with equal energy throughout the sales workday. A professional, well-groomed appearance and demeanor. A love of New Technology and its applications. Willing to learn from our Managers in order to learn our product, processes, and build your career. An outgoing personality, willing to engage customers in a friendly manner. Have quality customer service skills. Excellent communication skills are a must. Excellent organizational skills with the ability to gather and maintain customer information via our Customer Management tools, including knowledge of email and Microsoft Office. Must be willing to submit & pass drug screening and a background check. A valid driver’s license is strongly recommended, but not required. Apply now to join a thriving and rewarding work environment with our team of qualified and certified collision technicians! We offer top industry pay plus a signing bonus for highly qualified candidates. Previous experience is required! Please indicate all prior work experience, relevant education, and any certifications or accreditations. We provide a positive work environment, climate controlled shop area, and an opportunity for growth and advancement within the company. You control your income, as there is plenty of work coming through our growing body shop department. •Review repair estimates, review parts orders per estimate, and plan work to be performed. • Read work orders or descriptions of problems to determine repairs or modifications needed. • Plan work procedures and perform assigned tasks in a timely manner. Responsible and accountable for providing a quality repair on all tasks assigned. • Inspect repaired vehicles for proper functioning, completion of work, dimensional accuracy, and overall appearance of paint job, and test drive vehicles to ensure proper alignment and handling. • Sand repaired areas and prime and block to paint quality status. Cover and mask with paper and masking tape to protect from overspray. • Remove and install vehicle parts or accessories. • Operate welding equipment and ability to perform proper welding techniques. • Remove damaged sections of vehicles using metal-cutting guns, air grinders and wrenches. Fit and weld replacement parts into place, using wrenches and welding equipment, and grind down welds to smooth them, using power grinders and other tools. • Disassemble equipment for maintenance or repair. • Chain or clamp frames and sections to alignment machines that use hydraulic pressure to align damaged components. • Remove dents from equipment, materials, tools or structures. Fill small dents that cannot be worked out with plastic or solder. File, grind, sand, and smooth filled or repaired surfaces, using power tools and hand tools. • Mix polyester resins and hardeners to be used in restoring damaged areas. • Adjust or align headlights, wheels, and brake systems. Auto or Body work experience required. Must be drug & alcohol free and able to pass pre-employment and random drug screening and background check. Strong teamwork skills. Valid drivers license. Personal and professional integrity. Must possess skills in communication and time management. 401K, Paid Vacation, Health/Dental & Vision Insurance, Life Insurance, Disability Insurance. Are you ready to enhance your career in the automotive industry? Here’s a career opportunity you don’t want to pass by. You get hands-on training, a supportive Management Team, and the top selling vehicle lineup at the area’s dominant dealership in terms of market share; the potential for success is here. Competitive Income Opportunities with Bonuses based on Performance. A high level of enthusiasm with equal energy throughout the workday. Strong, ethical convictions and business practices. A professional, well-groomed appearance and demeanor. Willingness to learn from our Managers in order to learn our product, processes, and build your career. An outgoing personality, willing to engage customers in a friendly manner. Have quality customer service skills. Excellent communication skills are a must. Excellent organizational skills with the ability to gather and maintain customer information via our Customer Management tools, including knowledge of email and Microsoft Office. Must be willing to submit & pass drug screening and a background check. A valid driver’s license is strongly recommended, but not required. We are looking to hire experienced Customer Service Professionals. We provide a positive work environment and competitive pay in a high volume Service Center. WE OFFER: 401K, Paid Vacation, Health/Dental/Vision Insurance, Life Insurance, Disability Insurance. RESPONSIBILITIES/REQUIREMENTS: Meet/greet customers with a positive attitude, collect information, and accurately document customer concerns. Increase customer satisfaction by building customer relations. Use computer program to create repair orders. Maintain company standards for ethical business practices, professional image, orderliness, customer service, and good employee/community relations. Monitor the progress of each vehicle throughout the day and update customers frequently. Oversee technician progress, time managements, parts ordering, job completion, and quality control. Increase profitability by maximizing sales and minimizing wasted time/effort. Participate in and promote team/business building practices to help grow the business. Must have the ability to read, write, and speak English fluently. Must have the ability to multi-task and concentrate despite interruptions. Must be able to operate and perform tasks with a sense of urgency, in a fast paced environment. Must be drug and alcohol free and able to pass pre-employment & random drug screening and background checks. We are looking to hire trained service technicians with experience. We provide a positive work environment, climate controlled shop area, and an opportunity for growth and advancement within the company. You control your income, as there is plenty of work coming through our growing service department. PREVIOUS EXPERIENCE IS A MUST! WE OFFER: 401K, Paid Vacation, Health/Dental & Vision Insurance, Life Insurance, Disability Insurance. RESPONSIBILITIES/REQUIREMENTS: Visually inspect each vehicle and provide full inspection report: including brake lining and tire tread measurements, levels/conditions of all vital fluids, drivetrain and suspension parts. Perform vehicle road test if necessary. Identify additional work needed found during inspection and/or road test. Document all findings and communicate to Service Advisor to be relayed to customer. Diagnose and repair vehicles. Communicate with parts associates to obtain necessary parts needed for repairs. Provide quality work and adhere to “Fix It Right First Time” protocol. Maintain a clean and orderly work area. Must be able to operate and perform tasks with a sense of urgency, in a fast paced environment. Follow all company safety procedures. Understand and comply with federal, state, and local regulations such as disposal of hazardous waste and materials. Must be drug & alcohol free and able to pass pre-employment and random drug screening and background check. Strong teamwork skills. Must have basic math skills and be able to calculate next maintenance reminder. Valid drivers license. Personal and professional integrity. Must possess skills in communication and time management. We are looking to hire entry level technicians with basic knowledge of automobiles. This entry level position offers opportunity for self-improvement within a growing company while providing on-the-job training and experience needed to advance to the next level in the industry. WE OFFER: Paid training, 401K, Paid vacation, Health/Dental & Vision Insurance, Life Insurance, Disability Insurance. RESPONSIBILITIES/REQUIREMENTS: Visually inspect each vehicle and provide full inspection report: including brake lining and tire tread measurements, levels/conditions of all vital fluids, drivetrain and suspension parts. Identify additional work needed found during inspection. Document all findings and communicate to Service Advisor to be relayed to customer. Primarily performing oil change and tire rotation services, along with other basic maintenance. Communicate with parts associates to obtain necessary parts needed for repairs. Provide quality work and adhere to “Fix It Right First Time” protocol. Maintain a clean and orderly work area. Follow all company safety procedures. Understand and comply with federal, state, and local regulations such as disposal of hazardous waste and materials. Must be able to operate and perform tasks with a sense of urgency, in a fast paced environment. Must be drug & alcohol free and able to pass pre-employment and random drug screening and background check. Strong teamwork and communication skills. Must have basic math skills and be able to calculate next maintenance reminder. Valid drivers license. Personal and professional integrity. Must possess skills in communication and time management. Are you ready to join our growing team? Valdosta Toyota is one of the leading dealerships in South Georgia with plenty of room for more growth and opportunity. WE OFFER: *Paid Training *401K *Paid Vacation *Health, Dental, & Vision Insurance *Life Insurance *Disability Insurance JOB RESPONSIBILITIES: *Must be able to build a relationship with customers. *Able to oversee the parts sales process from start to finish. *Work with parts Manager to locate any parts not in stock. *Complete special order part request for our customers. *Communicate with customers on parts status. *Communicate with staff and customers in a friendly and professional manner. *Must follow all company safety policies and procedures. *Understand and follow federal, state, and local regulations applicable to the industry. *Understand the components of the part and how it works. *Be able to express the value of the part. YOU BRING: *Experience with auto parts sales (preferred) *Automotive experience in a dealership setting *Highly skilled in computers *Are able to work in a fast-paced work environment *Have strong organizational and time management skills *Have strong phone skills *Must be drug & alcohol free and able to pass pre-employment and random drug screening and background check.